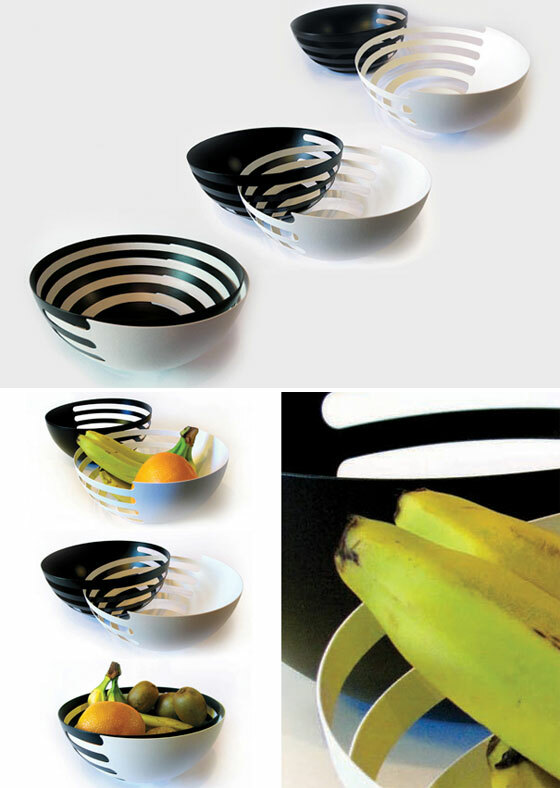 It´s time to forget boring fruit bowls. If you are looking for something unique and with a bit of a twist, you got to check this post. 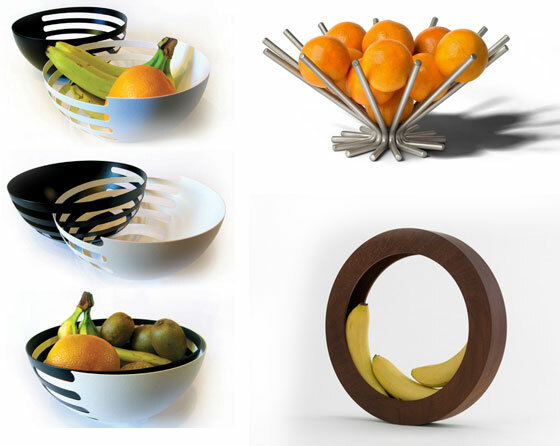 Here we rounded up 15 Modern and Unusual Fruit Bowls/Holders, which server perfectly as your an accessory for your kitchen or dining room, the topic of conversation among your guests and always be ready with healthy fruit. Apple Tree is an alternative fruit bowl. It is reminiscent of picking fruits and gives people the pleasure to have their own tree at home. Made of aluminium wire, it looks like a stylised drawing of a tree, consisting of only a few lines. The sculptural object measures 120 cm and stands on the floor. 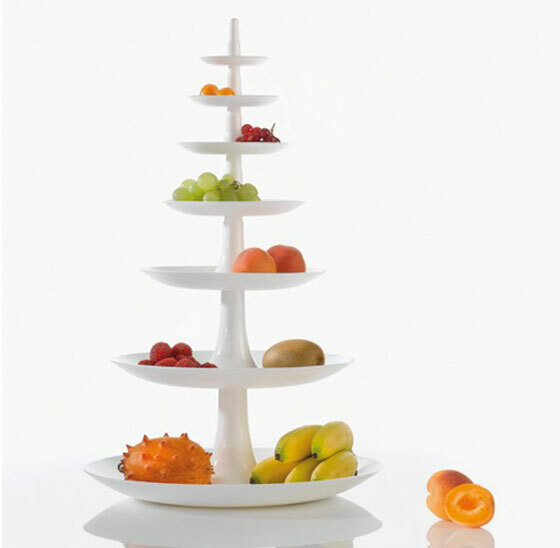 Elegant designer fruit bowl. 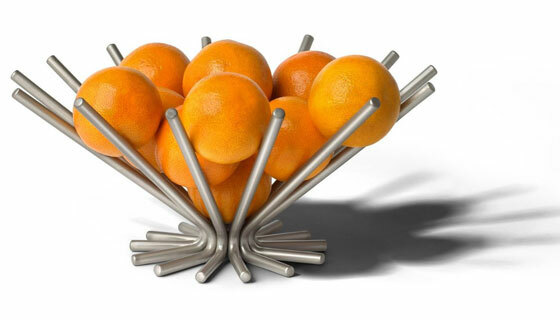 The embrace fruit bowl, which is made of stainless steel, has a tight, decorative expression, and it creates a nice contrast when it is full of fresh fruit. 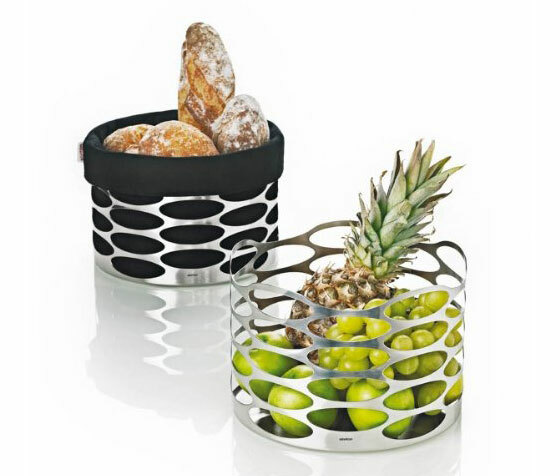 In addition to being a beautiful stand alone fruit bowl, this item can also be used with the Stelton bread bag, which fits perfectly into the bowl changing the look and adding the color of your choice to your decorative bowl. A bowl comprised of varying volumes of spheres, to place fruit of different sizes, in a way that enables to position the object in a new equilibrium each time, due to the change in the center of gravity. Material is non-porous and does not promote bacterial growth. Sufficient to clean with a mild dishwashing detergent and water. Avoid prolonged exposure to highly acidic materials. 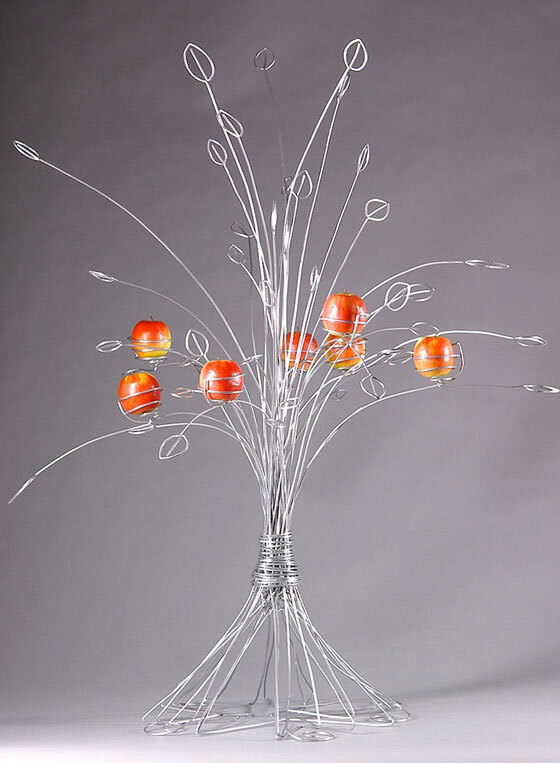 Its unique design is eye-catching yet versatile enough to suit any kitchen or table by adding a dramatic flair to your. 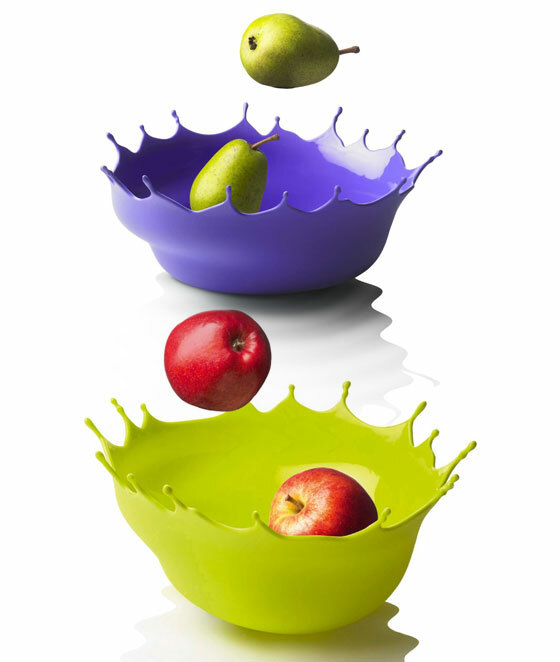 This dynamic bowl is sure to make quite a statement in your kitchen. 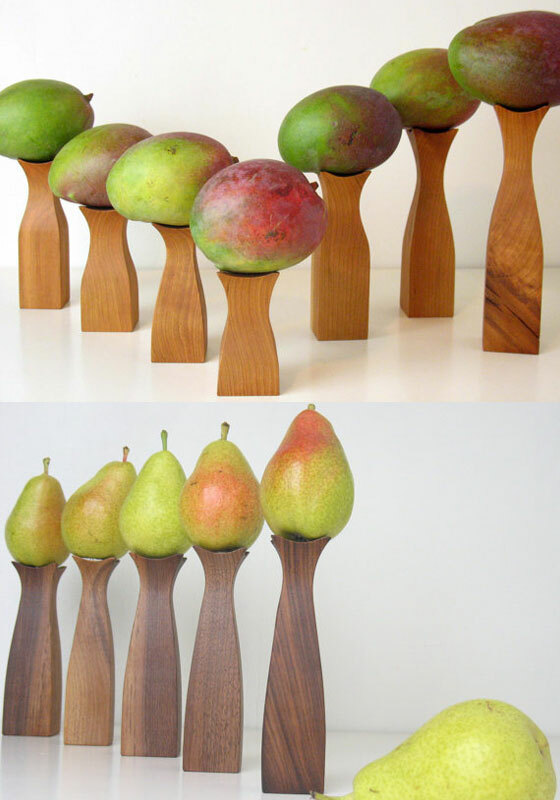 Great for fruit, vegetables and bread or use as a creative centerpiece on the table. The open design gently cradles the fruit keeping them fresh longer. Spectrum is a company that does the small stuff great! Their items are made of better plastics, heavier steel, thicker powder coating, and stronger castings. Spectrum inspects every piece before it leaves their factory, so you know you’ll always get top quality products. Size 5-1/2-Inch H by 12-3/8-Inch Diameter. Powder Coat Finish. Covering each frame is a stretch netting fabric which, thanks to Chilewich’s patented mechanism, creates a concave plane, the mesh material is breathable, removable, and machine-washable, making RayTray ideal for storing vegetables and fruits. Earth bowls are creative works of art in the form of your chosen part of the earth. Google Maps enable you to quickly design your own bowl. Whether as a fruit bowl, a safe place for your keys or a mural – the application of your personalized and unique Earth Bowl is left up to your own imagination and creativity. 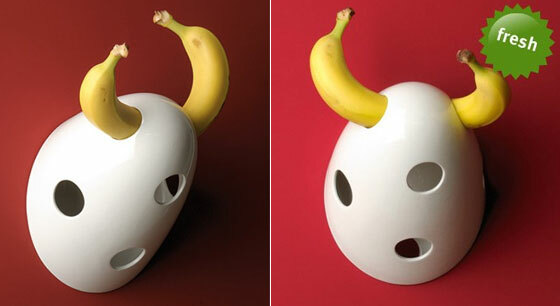 Vicky is a banana holder that, when it´s hung up on the wall, it resembles the horns of a bull or classic deer antlers. It is amusing and, yet, functional. The holder has prearranged holes where the bananas, due to their natural curvature, can be easily wedged in, held in place and then left to quietly ripen. Each holder is a one of a kind piece and is handmade. The placement of the hand cut openings may vary slightly. Vicky can be hung up or placed on a flat surface. To ensure that it can be easily attached to the wall, it also comes with two holes on its flat side. It’s all it stacks up to be and more! The Babell XL étagère offers no less than seven levels. The design is modular, which makes it incredibly flexible; it can even be divided to create two or three individual towers. 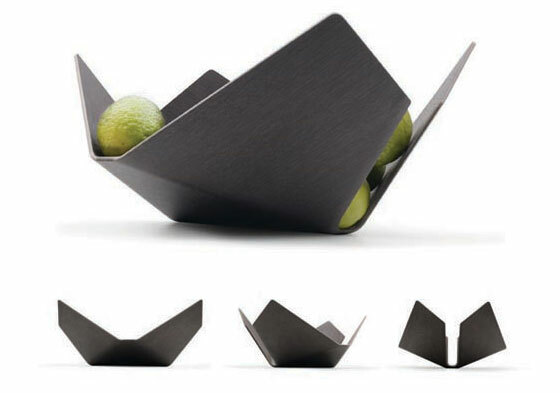 Inspired by the art of origami, the Lorea fruitbowl is a simple design with great aesthetics. Three different finishes are available, each one contrasting elegantly with the fruit revealed between the folds of the wood. 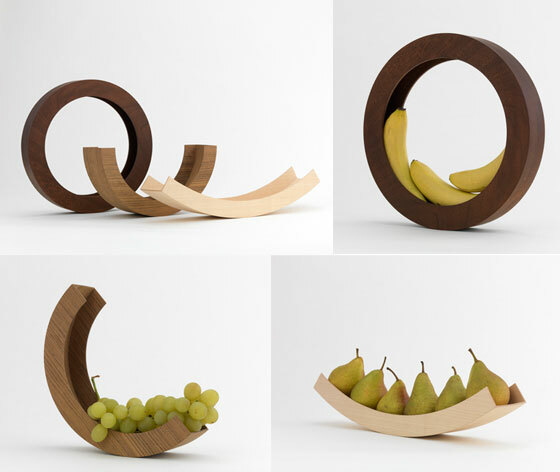 Fruitbowl by Gijs Bakker. 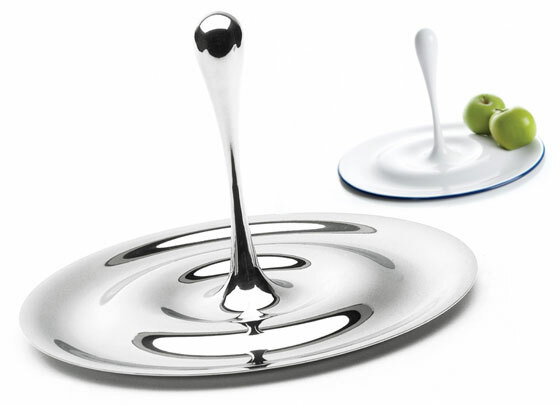 Make a statement on your table with this decorative fruit bowl in the shape of a water drop. Use the dropl as a convenient handle to carry the bowl. 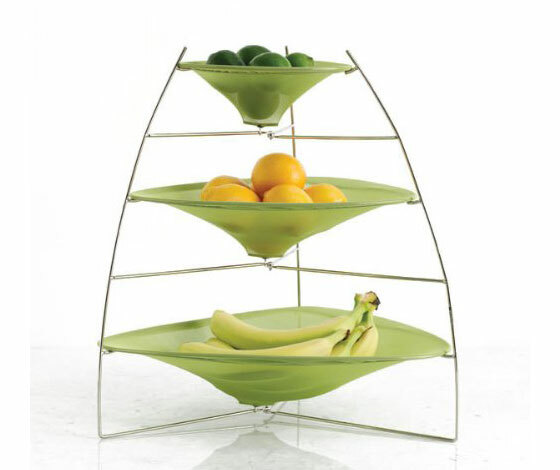 A very creative alternative to the fruit bowl, The Stand will turn your fruits and veggies into artistic sculptures. Available in different types of wood, and comes in a set of 5, 6, 7 or 8 stands in different range of height. 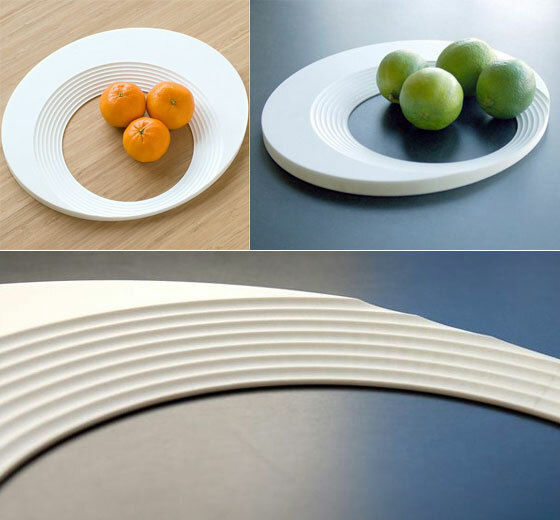 The designer, Sakura Adachi has a brilliant mind and succeeded making an object that is both useful and looking amazing. You can use the two parts separately, but again you can stack them and use them as a single bowl. That can happen because both the white and the black bowl have one of the halves totally normal, but the other one shredded in little thin lines that come interconnected when put together.